Kimberly W. Grant is licensed to practice law both in North Carolina and Georgia. After graduating from law school from the University of North Carolina at Chapel Hill in 1993, Kimberly Grant practiced law in Raleigh, North Carolina for three years, working on a variety of personal injury, wrongful death, and products liability cases. 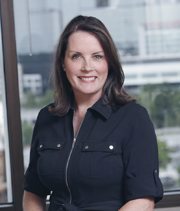 Since moving to Georgia in 1997, Kimberly W. Grant has worked primarily on cases involving personal injury and medical malpractice. Kimberly W. Grant has tried cases in both state and federal courts and is willing to take and move cases from the initial client meeting to jury verdict. She is dedicated to her clients, hard-working and committed to ensuring that each case receives her personal attention. Atlanta Personal Injury Attorney Disclaimer: The legal information offered herein by Grant Law Office, is not formal legal advice, nor is it the formation of an attorney client relationship. In order for our firm to be considered your attorney there must be a signed agreement between the client and the firm. Any results set forth herein are based solely upon the circumstances of that particular case and offer no promise or guarantee on the outcome of any other case. Please contact a lawyer for a consultation.